Today I'm sharing how I use a "Whole Group Token Board" to teach beginning of the year procedures in my classroom. I start with this simple template. Each sheet is set up for 5 students, so I have printed two sheets and taped them together for 10 students. There is even a third one taped that you can't see for when I had 12 students one year. 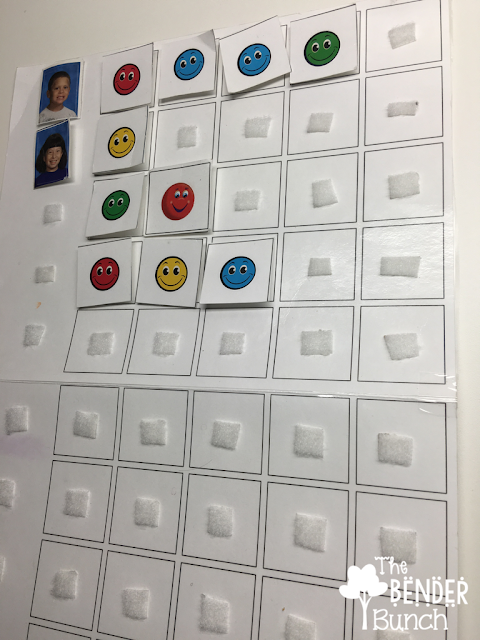 I hang this on the wall where I do whole group instruction. I place their pictures down the left side as shown. These are their Life Touch school photos that I obtain from the office every year. They come in so handy! 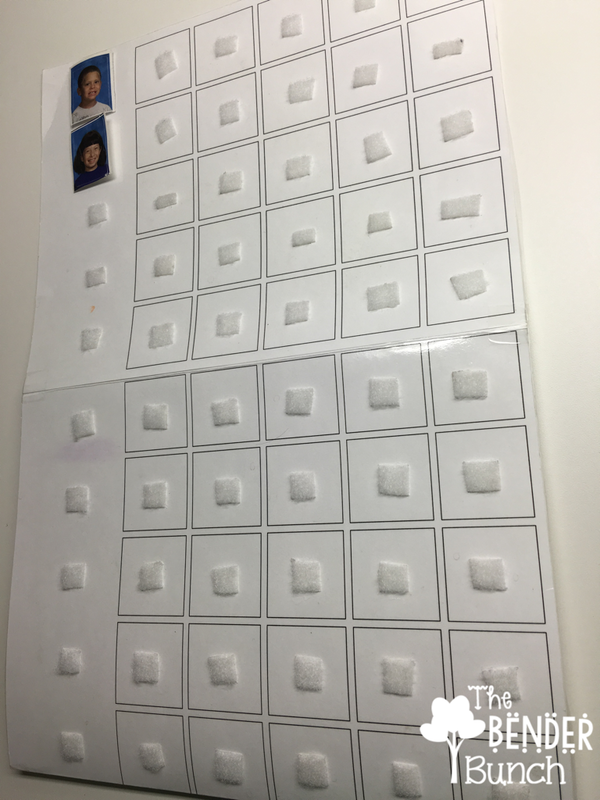 Check to see if your office has them for your students. Most offices get them to use in Cumulative folders and such, but my office doesn't use them, so works for me! I keep a basket full of tokens by the token board. These were so easy to make. I just placed smiley face stickers on copies of the token board itself, laminated, and cut them out. I'm always getting these stickers free in the mail from Highlights. So how do I use it? I use it all throughout the day to reinforce students for following beginning of the year procedures, and for as long as necessary. Here are some examples. So I've taught the rules and procedures. We've reviewed the procedures and practiced the procedures. Now it's time to start catching them following the procedures on their own. "I love how you stayed in your seat and raised your hand, Jo." Give a token. "I really like the way you cleaned up your class materials, _____." Give a token. "I love how you pushed in your chair when you stood up." Give a token. I may even give multiple tokens at the same time. "I love how Dan, Jo, Sue, and Lily are all following directions." Give all 4 a token. "I like the way everyone lined up without talking." Give whole class a token. 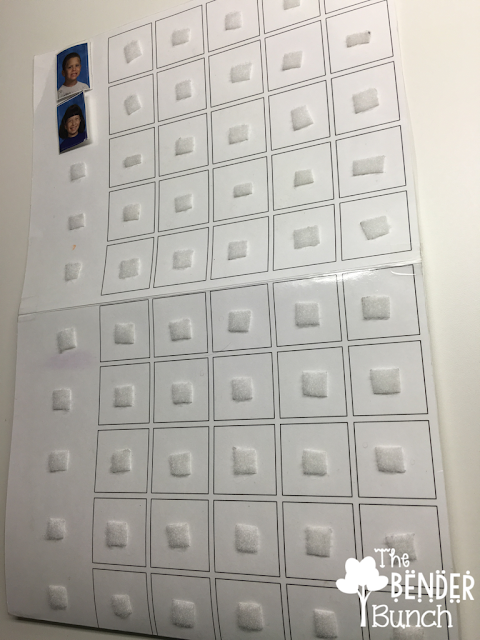 It's very effective because once other students see a student receive a token, it becomes contagious and they want to try to earn a token too. 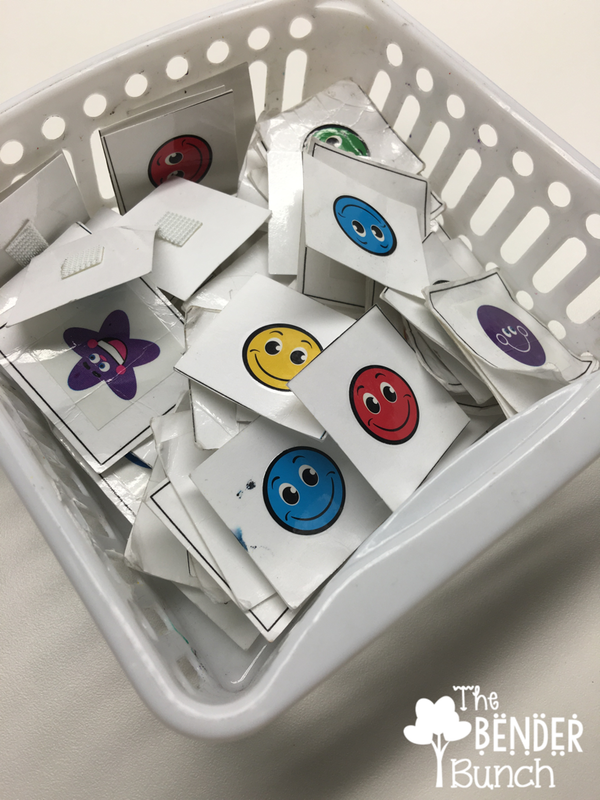 Once a student has earned 5 tokens, I may decrease this number for more disruptive students, they choose a reinforcer of their choice. No time is spent pre-determining this. They choose once it is earned. It might range from a hershey kiss to 7-8 minutes on iPad. I'm not really worried about them missing out on too much classroom instruction at this time, as my main focus is teaching the rules and procedures these first few weeks. Generally, my students are following the rules/procedures appropriately within 2-3 weeks, and especially since most of my students were with me the previous year. So, I am able to fade it within a month or so. 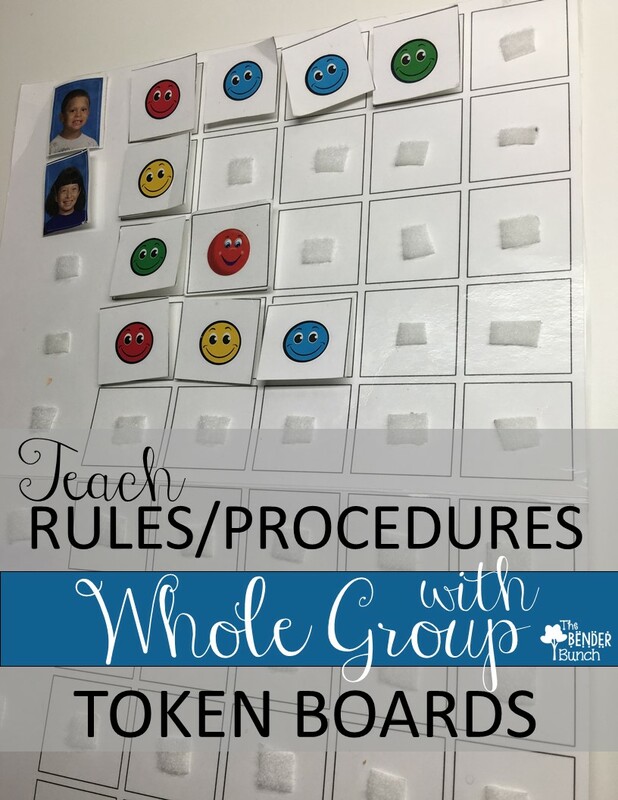 But in some cases I'll continue to use it for whole group lessons throughout the year to keep students engaged and following along, or to remind them of the rules and procedures. You can get an updated version of the token board template for free here. It now includes 7 students to a page and the tokens. Win a POST-IT NOTE TREASURE CHEST!